We asked a few of our saltiest contributors to tell us about the places where they most loved dropping the hook, over a lifetime of cruising. Unsurprisingly, they almost all found it difficult to pick just one. If you ask me where I’d most like to come on deck each morning, I say without comparison, it’s the Exumas. This fascinating island chain stretches about 130 miles like a braid from Nassau through the central Bahamas. On the windward side of the cays is the heaving ocean, where an afternoon stroll is very likely to produce dinner. 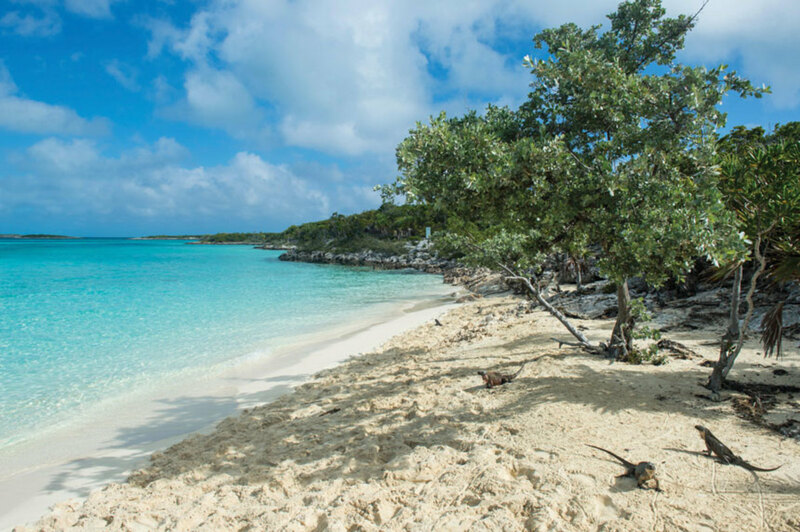 On the other side is the sheltered and mostly tranquil Exuma Bank, a shallow tableau of fascinating shifting sand bores, reefs and tiny uninhabited islands with pristine beaches, caves or limestone cliffs. Nassau is a big city with an international airport and lots of shopping, so it makes an excellent staging port. The northern Exuma cays are an underwater national park. 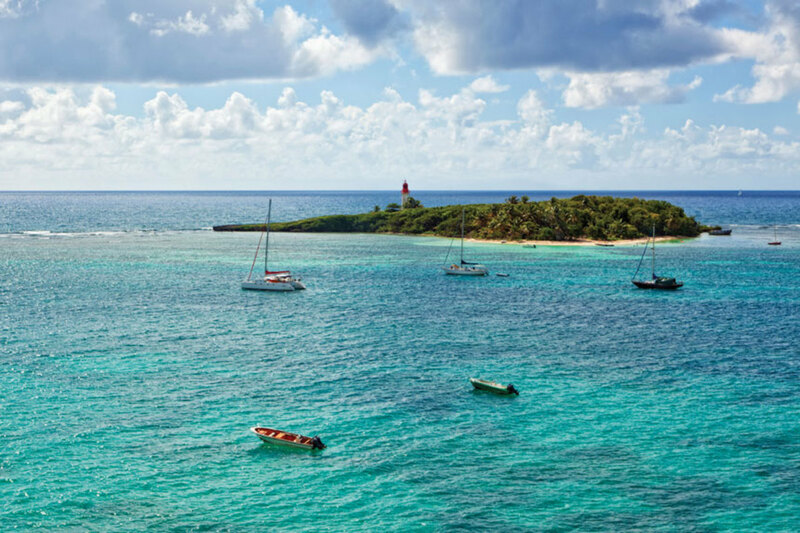 The southern Exumas are isolated pristine cays and anchorages. 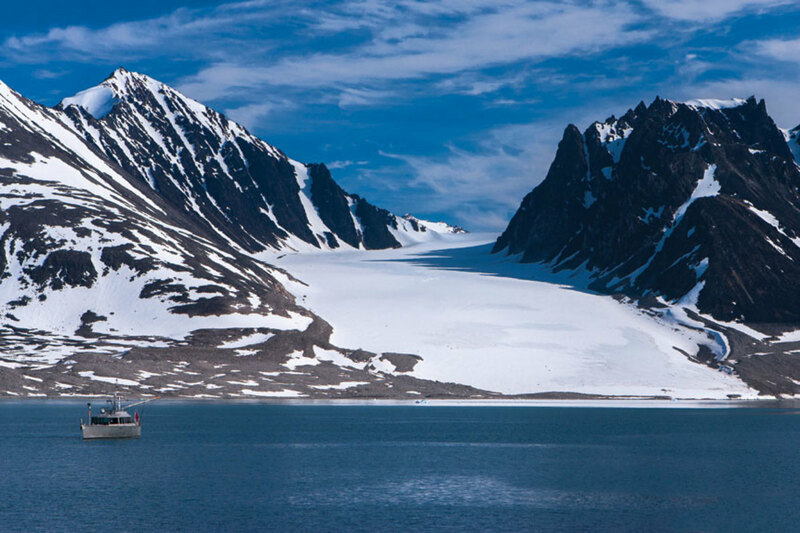 A few population centers and celebrated cruising anchorages are never more than a day sail from idyllic and private spots, so if you need to top up water tanks and refuel, buy basic groceries or meet up with fellow cruisers you are never far away. A Bahamian SIM card in your iPad or phone makes broadband Internet accessible in most places. What more could one want? 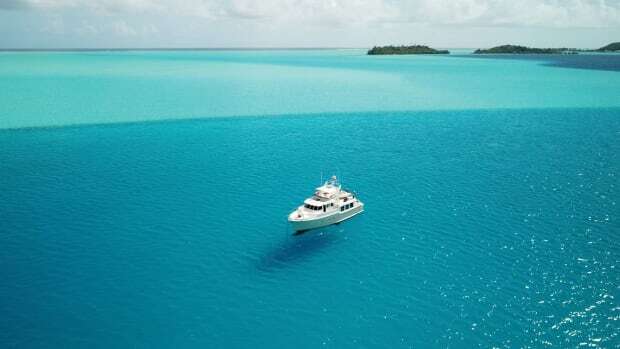 There is no such thing as paradise, but since I feel most serene in the watery life, the Exuma chain is as close as it gets. The endless patterns of varying blues and turquoise are dreamy. The water clarity, the cleanliness, and the reefs and sea life remind me that we are fortunate to live on an awesome water-covered planet. 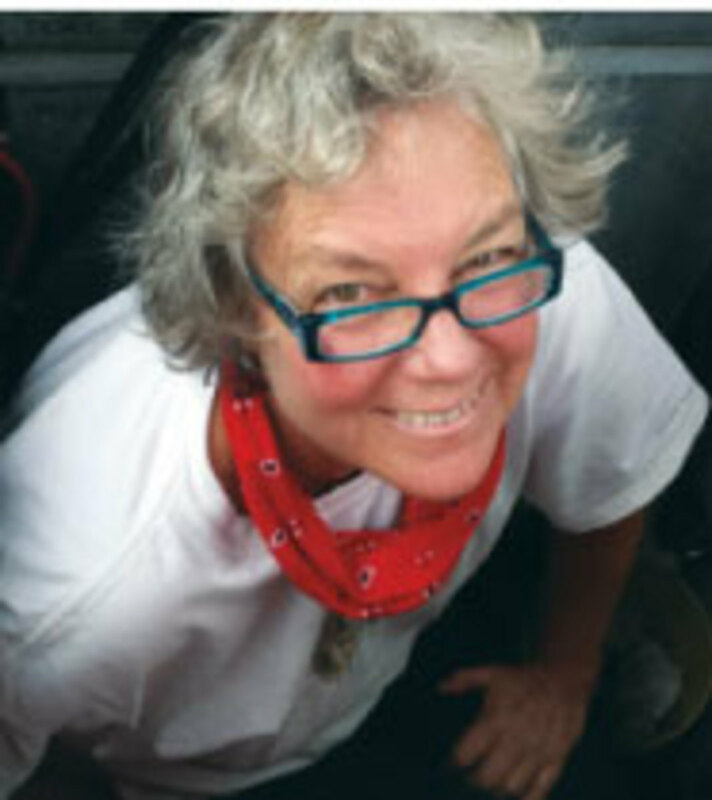 Pat Mundus is a retired merchant ship deck officer who cruises her F. Spaulding Dunbar ketch, Surprise, in the Bahamas and the western Caribbean. 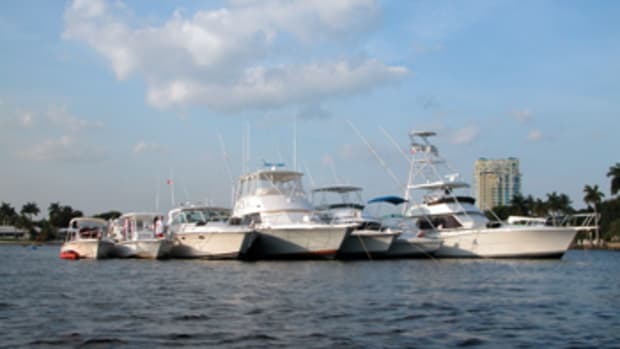 During summer, she arranges crewed classic yacht charters through East End Charters. Surfing white horses toward a foaming gray cliff, double-reefed beneath a bright blue sky, yawing 15 degrees either side of course, a block and tackle on the tiller, position approximate, with an underpowered engine that hasn’t run since leaving the Azores. That is how I first encountered Baltimore, Ireland. As we pitched into troughs and balanced on crests, a white masonry structure known as “the beacon” came into view a hundred feet above the sea. It marked a gap in the cliffs. We staggered toward it and glided into the flat waters of the harbor, smoothed as if by a spell. To port are Sherkin Island and the ruins of an ancient abbey. To starboard, a hillside descends toward the harbor, cross-stitched with rock walls that enclose paddocks so verdant they must be plugged into the national grid. Dead ahead is the village of Baltimore, dominated by a 500-year-old stone structure, Dún na Séad, the “fort of the jewels,” the Gaelic name for this place that was the seat of the O’Driscoll clan in centuries gone by. 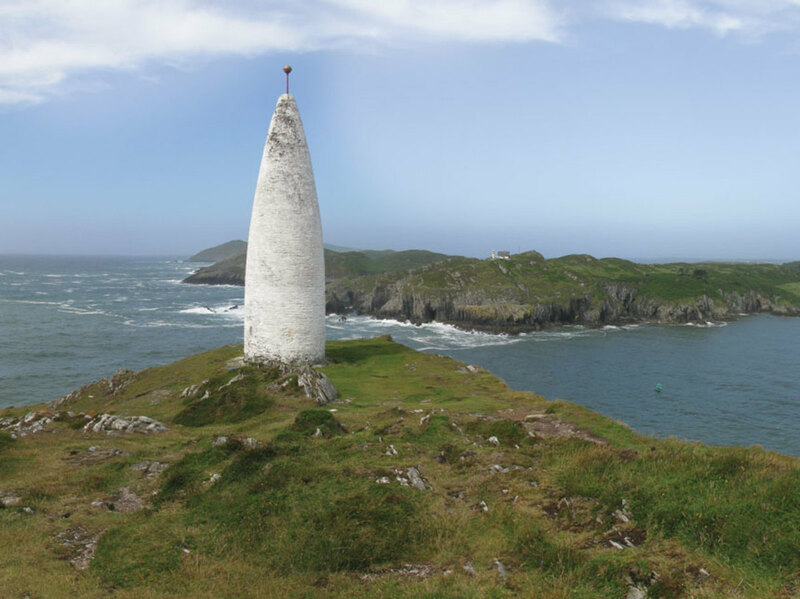 Baltimore is at the southwest corner of Ireland, near enough to Fastnet Light for its nightly revolutions to cast patterns of shadow on the surrounding hillsides. This coast bears the brunt of whatever the North Atlantic can conjure, with winter storms gusting at more than 100 knots. Baltimore has a long history as a fishing village and all that comes with it in terms of making a living from the sea, and occasionally burying someone on account of it. 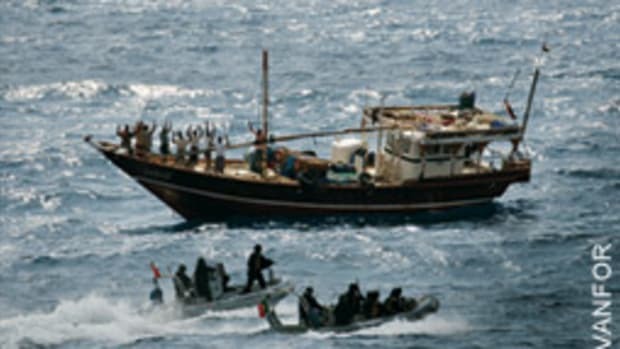 Among its twists of fate was the 1631 attack by Algerian corsairs, who seized 107 villagers and took them back to Africa. Few ever saw Ireland again, and many never set foot ashore again, spending the rest of their lives in galleys. Locals don’t mind pointing out that almost all of those enslaved had English surnames. In more recent decades, Baltimore has earned a well-deserved reputation as a destination for summer people and weekenders coming down from Dublin and Cork. Good pubs and restaurants, including the Algiers Inn, abound. The Baltimore Sailing (not “yacht”) Club fronts the inner harbor. Boardsailing competitions and the Baltimore Wooden Boat Festival are among the summer activities. Many quaint seaside villages are in this part of the world, but Baltimore possesses an exceptional blend of local authenticity and worldliness, attracting talented folk from far places who visit and then stay. For miles east and west of Baltimore are coves, inlets, islands and cruising grounds of the most spectacular order, each having a rich history, either written, spoken or simply felt. Go. And bring a good anchor. Roque Island, way Down East in Maine, first charmed me 42 years ago. It still does. For generations, Roque Island has been the Holy Grail for northern New England cruisers. 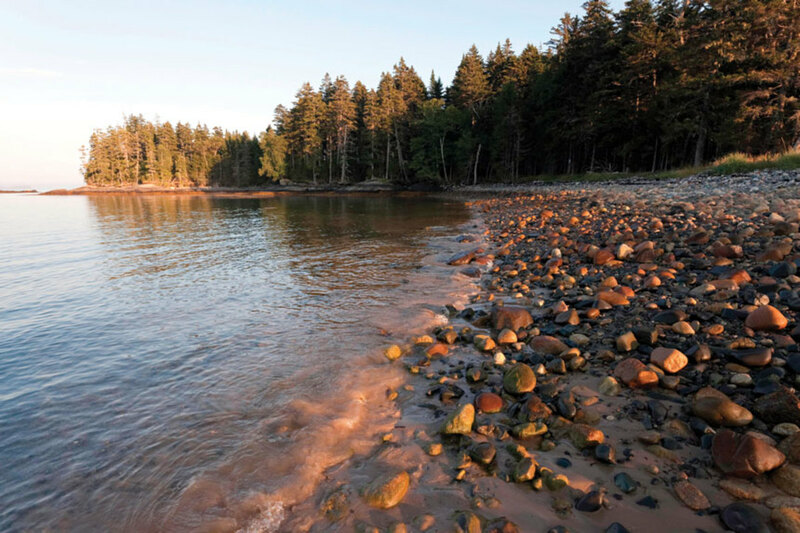 Roque lies 45 miles east of Mount Desert Island’s Northeast Harbor, a good jumping-off spot. Heading east, the rockbound peninsulas and spruce-studded islands to port are jewels in a cold, gray sea. It is a place where the living still comes hard, and where seals, eagles, gulls and gannets outnumber people. There are no marinas, no hotels, no services, no restaurants. It’s perfect. On that first cruise, we set out from Northeast Harbor — four young men on an old wooden boat whose nav gear consisted of a compass, a fathometer and a radio direction finder. The tides raced then, as they do today. The ledges were equally unforgiving, the fog just as thick. Sailing through the surrounding archipelago, we anchored off the mile-long white sand beach fronting Roque Harbor. As the rode paid out, the subtle lure of the place pulled me in. Years later, on numerous subsequent trips, my wife and kids felt its magic, too. Few places in America are so free from the passage of time. One extended family has owned the island since 1806. A private estate, part of which is now conservation land, Roque Island remains a historic saltwater farm known for its sheep, with resident farm managers overseeing them. It is alluring and serene, fair compensation for its restricted shore access. It turns out that getting there and being there are more meaningful than doing things at Roque. You can walk that powder white beach, of course, watch songbirds and seabirds, listen to the island sheep and give thanks that you have a well-found cruising boat. That boat is the only ticket in. Honor the owners’ wishes, and you’ll share a slice of their paradise. Jeff Bolster and his wife cruise extensively aboard their Valiant 40, Chanticleer. 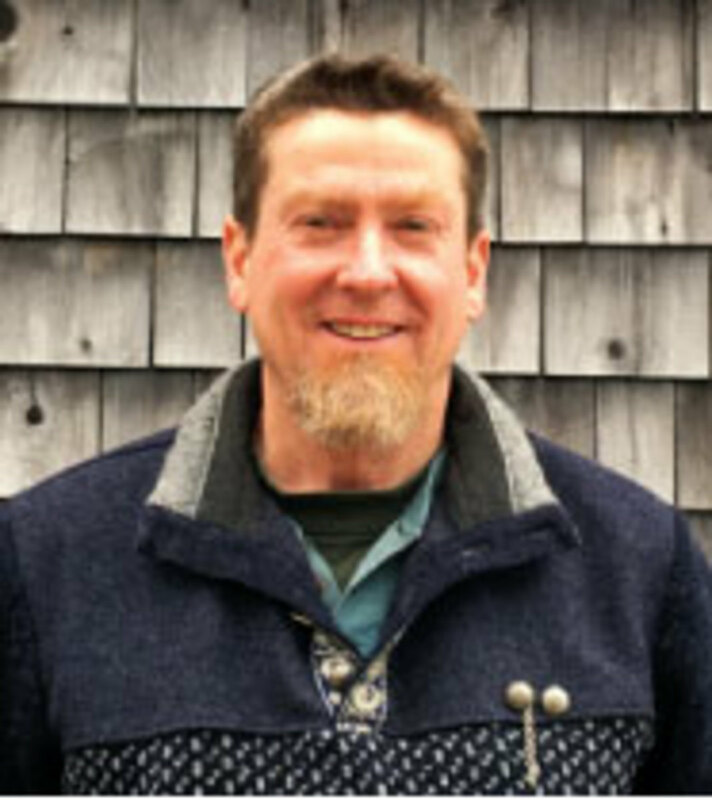 A professor of history at the University of New Hampshire, he won a Bancroft Prize for his book The Mortal Sea and has published several other titles on maritime history. I love equally Islet du Gosier, just a few hundred yards off the south coast of Guadeloupe in the French West Indies. Like Roque, the holding ground is firm white sand. Everything else is different. Roque is private; Gosier, public. Roque is cold; Gosier, warm. Roque is quiet, unnaturally so. Gosier exudes Caribbean boisterousness. Call it the yin and yang of cruising. A challenging destination, such as Roque, forces us to rise to the test and rely on ourselves. An easy place like Gosier, strong trade winds notwithstanding, invites us to kick back. Cocooned by its sweet scene, we swim, bask in the warmth and give thanks once again for our stout cruising boat. Ilet du Gosier’s red and white lighthouse is as welcoming as Roque Island’s crescent beach, unbeatable destinations both, and beacons in a cruiser’s sea. What do Clark Gable, Charles Laughton, Marlon Brando, Trevor Howard, Mel Gibson and Anthony Hopkins have in common? They all portrayed Fletcher Christian or Capt. Bligh in a film depicting Mutiny on the Bounty. The mutiny, the getaway, Bligh’s 2,000-mile open-boat voyage to safety, the mission to capture the mutineers half an uncharted world away, the trial, the surprise witness, the hangings and the mystery of what happened to those who sailed the Bounty into thin air — all were real events that epitomize how truth can be stranger than fiction. Time and imagination have allowed portals for fiction to intrude on this tale, but some things are known. Christian, some mutineers, their newfound Tahitian wives and some Tahitian men fetched up on Pitcairn Island. There, they burned the ship, like a bridge in a war. Their descendants live on the Southern Pacific island still. We left Auckland, New Zealand, in early December and dipped down to pick up the Roaring Forties. We ran our easting down through Christmas, across the date line and smack into the new year. Albatrosses rode low over the combers as we crossed one time zone after another without bothering to change clocks. Like the Bounty descendants on Pitcairn Island, we were very much alone. Time was irrelevant except for sight takings. After three weeks of horizon, Pitcairn poked up. There is no harbor. You anchor in the lee, and the lee does change. Our crew was large enough that some could mind the vessel while others spent days in the hospitality of the islanders, and then we switched. I stayed with Tom Christian. You know how in some towns certain surnames seem to fill up more than their fair share of the phone book? 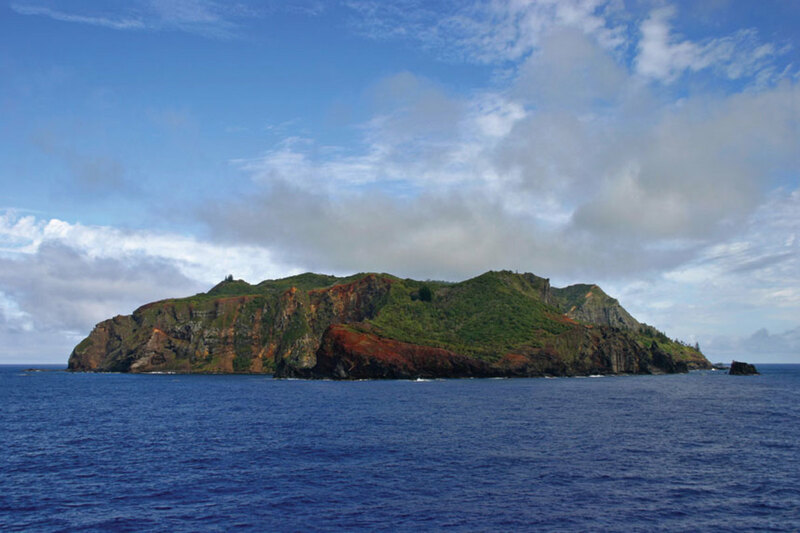 Pitcairn Island is about 1 mile by 2 miles, population 48 or 49. All permanent residents are related to the Bounty mutineers, and all are well aware of this fact. Their English is perfect, but they easily shift into a dialect that is more than a blend of English and Tahitian: It is an 18th-century melange of the two tongues, and therefore even stranger to our ears. We fished off the rocks. We hiked the highlands, looking for the Galapagos tortoises rumored to be in the bush. We bathed in a wood-fired bathtub beneath breadfruit trees. I called home on the ham radio, a device the islanders were exceedingly skilled at using. One night we traded sea chanties in the schoolhouse. The anchor recovered from the Bounty, very real, was just outside the door. There is no easy way to access Pitcairn Island. That is why Fletcher Christian went there. And if such solitude is what you want, too, there is no better place to have it. Capt. 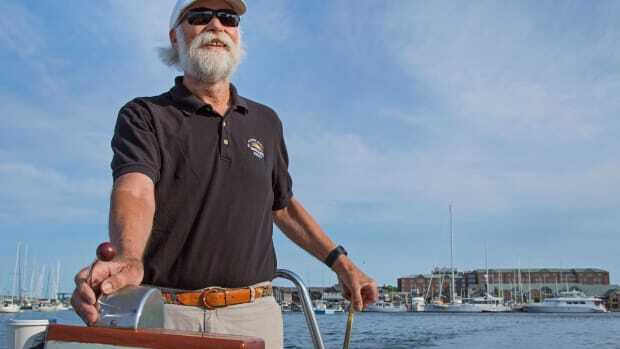 Daniel Parrott spent 20 years voyaging worldwide aboard traditional sailing ships. 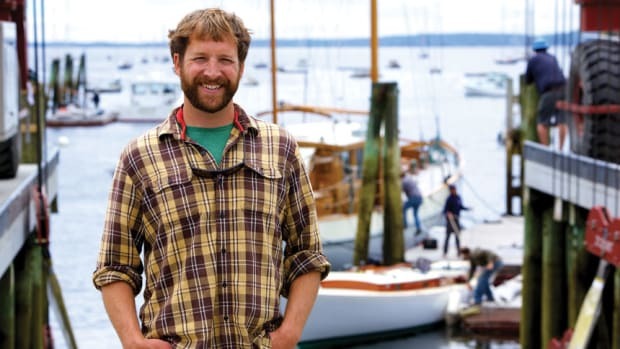 In 2003 he joined the faculty of Maine Maritime Academy, where he teaches navigation, seamanship and bridge resource management. As we prepare for another extended period of cruising we have been discussing where to go. Do we revisit old haunts or look for somewhere new? Over the years we have come to understand that for us there are no magic formulae to what make one place more desirable than another. Early on we discovered that the people we met, both ashore and in the voyaging community, were more important than the view. As our comfort and security increased while effort decreased with better design and construction, an adrenaline factor began to creep in. The mixture of risk, environmental aesthetics and ice for us in particular is an addictive brew. Hence a dichotomy in our three favorite destinations. First is Hana Vave Bay on Fatu Hiva in the Marquesas, surely the most beautiful tropical anchorage we have ever visited. Our stop last year, the third in the past 40 years, showed us that the place has lost none of its allure. The pamplemousse (grapefruit) alone makes the trip worthwhile. Next is St. Katharine Docks in the heart of London. This is the one big-city location we want to cruise back to someday. It is a five-minute walk from the tube (subway), surrounded by interesting restaurants with a mix of Thames River barges, visiting yachts and locals for neighbors. 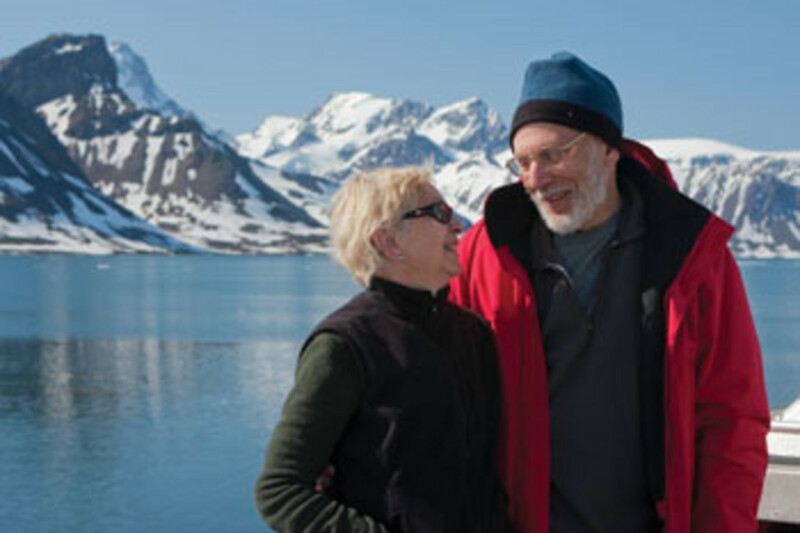 Steve and Linda Dashew have cruised more than 250,000 miles and visited some of the most spectacular places on the planet. 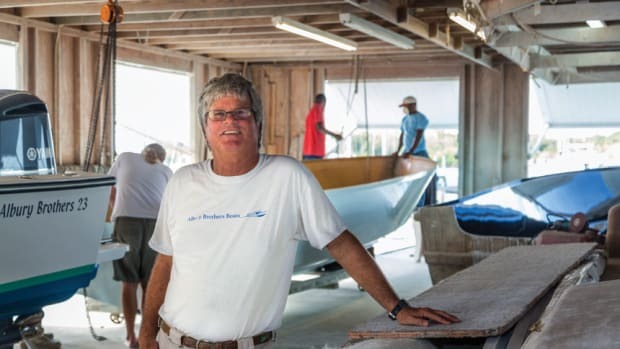 They helped pioneer the genre of light-displacement, narrow bluewater sailboats with stretched-out waterlines, and their FPB passagemaking powerboats subscribe to that same paradigm.